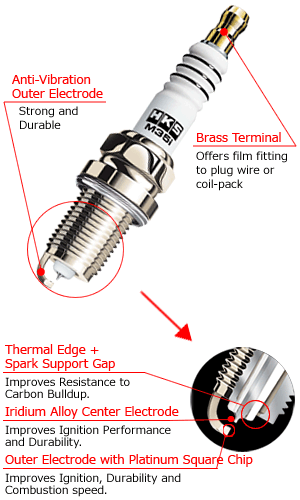 HKS Super Fire Racing Spark Plug, HL Type for 2.0 liter DIT Turbo. 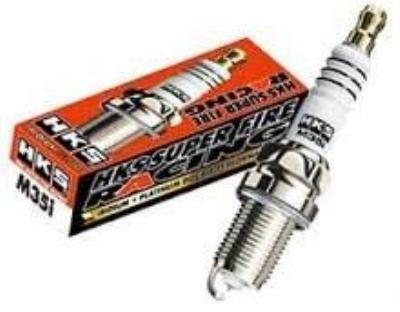 Super Fire Racing Spark Plug, HL Type. Ignition Ability, durability, anti-insulation all reinforced. HKS has made the best plug for both tuning engines and stock engines. The Outer Electrode features a shortened tip design and tapered shape while maintaining the necessary space for proper ignition. * Improper combustion condition and wrong heat range selection might cause damage to spark plug.